During my travels, I usually visit the markets and try to bring back the vanillas that seem the most interesting for my work. That is how I found myself in Saint-Pierre de la Réunion in front of these astonishingly fresh vanillas and brought some back with me. Back in Paris, I prepared an infusion which, I thought, as going to be one of the best of my life. What a disappointment, when I tasted this undrinkable infusion, way too powerful, with almost a chemical taste. It is the problem with vanillas that have not been dried enough that you often fine in stores. When I do not get my vanilla directly at the source, in the Reunion, Maurice, Madagascar or Comoros, I find in Paris endless treasures in Olivier Roellinger’s vanilla cellar, like the New-Caledonia frosted vanilla, the only one with the particular little grains, like frost marks on the pod. A smell of caramel, becoming during the infusion, a very gourmand cocoa like taste, perfect for custard. 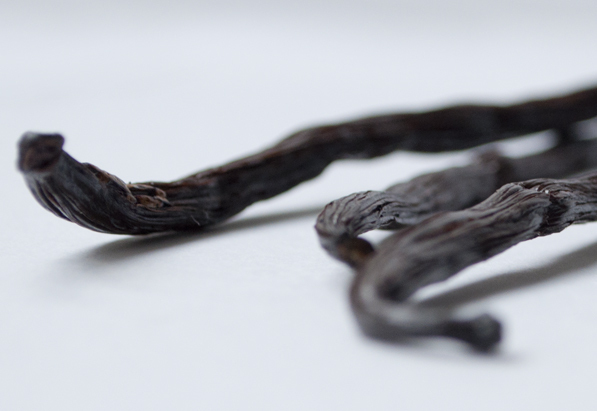 For custards and milky preparations in general, another fantastic vanilla is the Democrat Congo Republic one, with a very round smell, almost like a crème caramel that after the infusion gets a taste of chocolate nibs with sugar, cocoa is very present. After the infusion, I collect the vanilla pods, I run them under water and dry them at 100°C in the oven during twenty minutes so I can reuse them. I use them to decorate desserts or my péché mignon, I use them to perfume my caster sugar. I put the pods with the sugar in a closed jar to perfume it, or, for a more intense fragrance, I mix it with the sugar! For more woody vanillas, I like the Ceylan or Grande Comore vanilla. The Ceylan becomes, after the infusion, very gourmand, with notes of grilled pralines or toasted brioche. It is perfect for a caramel sauce… The Grande Comore, is very profound, with a forest smell, perfect with chocolate and, more surprisingly, in a celery soup, a cream of cauliflower or pumpkin. That is what I like in vanilla, it is surprising and helps with unlikely flavours associations, it is vanilla that is a link in my creations. For a powerful taste, I prefer to use whole milk because the more fat there is, the more the aroma will be set! If there is crème fraiche and milk in your recipe, do not hesitate to infuse your vanilla in a mix of the two, for a more powerful fragrance… When I feel like strong aromas, I like to go back to the source of vanilla, the Mexican vanilla, the original. 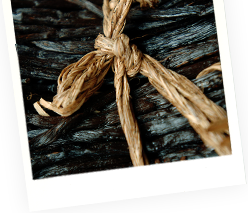 The wild “colibri” vanilla is fresh and powerful, with vegetal notes that make for a very fragrant vanilla like the Papantla, with a very fine fragrance, still round that goes perfectly with fruits and sea food.